The 2018 group of nine students is the largest number of Gustavus applicants to be named Fulbright U.S. Student Program semifinalists to date. The evaluations in a competitive first round of the Fulbright U.S. Student Program 2018-2019 are complete and a record number of Gustavus Adolphus College students were named semifinalists for the prestigious grant program. Their applications have been forwarded to their respective countries for final review. 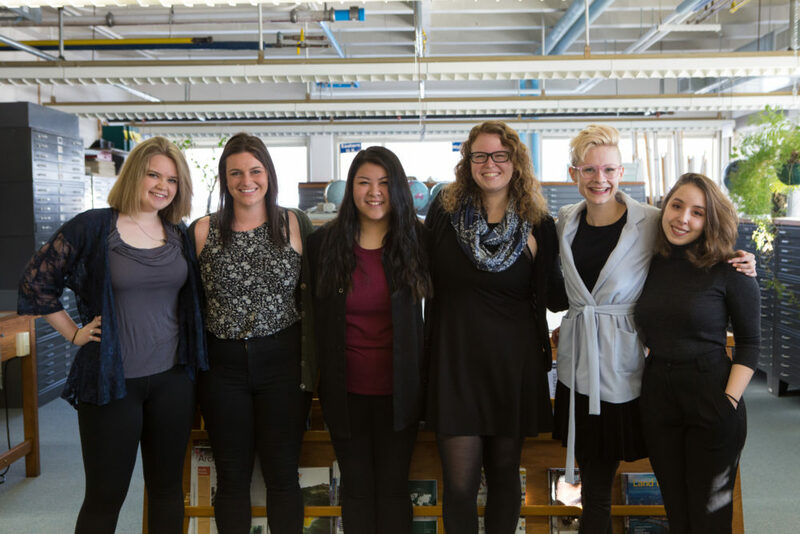 Six Gustavus seniors, Megan Johnson (Vietnam), Megan Kallestad (Peru), Ellen Kneeskern (Norway), Liza Long (Nepal), Isabella Robertson (Malaysia), Ally Xiong (South Korea), and two Gustavus graduates, Julia Rydberg ‘17 (Taiwan) and Emma Schmidtke ‘17 (Taiwan), represent the College as English Teaching Assistant program semifinalists. Through the Fulbright ETA program, recent U.S. college graduates and young professionals serve as teaching assistants in primary and secondary schools or universities overseas to improve foreign students’ English language abilities and knowledge of the United States. At the same time, the U.S. students are able to expand their own language skills and knowledge of the host country. Gustavus senior Amanda Landaverde, a psychological science, Spanish, and Latin American, Latino & Caribbean studies triple major and the ninth Fulbright semifinalist, is seeking a Fulbright Research/Study Grant to conduct research in El Salvador. Also funded by the U.S. Fulbright Student Program, the Research/Study Grant allows recent college graduates and young professionals to develop and execute a unique research project for a specific country. If accepted, Landaverde will return to her father’s home country to complete her proposal, an investigation of generational trauma and its impact on anxiety and stress. “Most of the existing research on generational trauma is completed in European countries, so I am very interested in using my LALACS studies to investigate the impact of the civil war and violence that occurred during the 1980s in El Salvador and how it affects young people today. The entire research project would be in Spanish, which adds another element,” said Landaverde. Working with both students and alumni, the Gustavus Fellowships Office assists applicants in identifying and applying for appropriate nationally competitive fellowships and scholarships. The various programs provide Gusties with the opportunity to spend time overseas, conduct independent research, earn money toward undergraduate tuition, or attend graduate school. Nienow and a team of faculty and administrators support students from all majors as they strive to secure fellowships both domestically and abroad. In order to learn more about the Fulbright and other programs, she encourages students to contact her directly. So proud of our Admission Office Tour Guides and family!! Megan, Liza, Bella, Ally and Amanda!! The best of the BEST! Congratulations!